And our bodies are craving warm, nourishing food to get us ready for the long, harsh, Korean winter. Take simple ingredients. Play around with different flavour combinations. Roast vegetables to bring out the richness and full body of the flavours. Add in spices for a punchy flavour. Thicken with beans and nuts. Thin out with different stocks and nut milks. 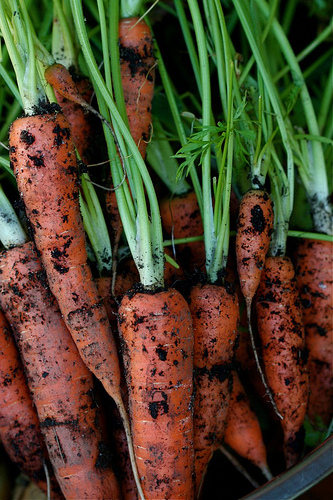 Carrots are often overlooked as a simple vegetable. 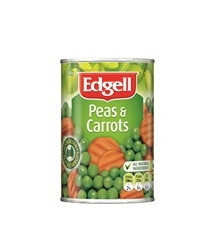 They are common and familiar and we often associate them with bad childhood memories of being overcooked, as squidgey squares in a frozen vegetable mix or a crimped circle as part of Edgell’s tinned peas and carrots mix. A root vegetable, carrots are extremely high in Vitamin A, which is digested in the body via beta-carotene. However, raw is not always the best, as only 3% of beta-carotene in carrots are absorbed by the body. When cooked, and combined with cooking oil, this is raised to nearly 40% beta-carotene consumption. Vitamin A, also known as retinol, helps your eyes retain their ability to adjust to changes in light and maintains necessary moisture levels of your eyes. Hence why my mum always told me to eat my carrots so I could see in the dark! Carrots are also high in Vitamin K which aids in clotting of the blood and contributes to bone strength and proper functioning of the kidneys. There are also good levels of Vitamin C which helps build up immune strength and aids in iron absorption. Whilst I enjoy the crunch of raw carrots in a salad or in a Vietnamese rice paper roll, the sweetness and rich flavour created by roasting carrots is far superior. When combined with a liberal dash of coconut oil, salt and garlic, this humble vegetable becomes tres chic. Carrots are easy to grow. They are apparently good garden friends with tomatoes, boosting their production. If left to flower, like any Umbelliferae (celery, coriander, dill, parsley etc) they will also attract predatory wasps which kill many garden pests. Ginger, ginger, ginger. Not to be confused with gingervitis. Ginger really deserves a post to itself. Part of the Zingiberaceae family which also includes turmeric, cardamom, and galangal, the ginger plant produces beautiful white and pink flowers. The edible root is popular in many countries around the world for its medicinal and nutritional properties. 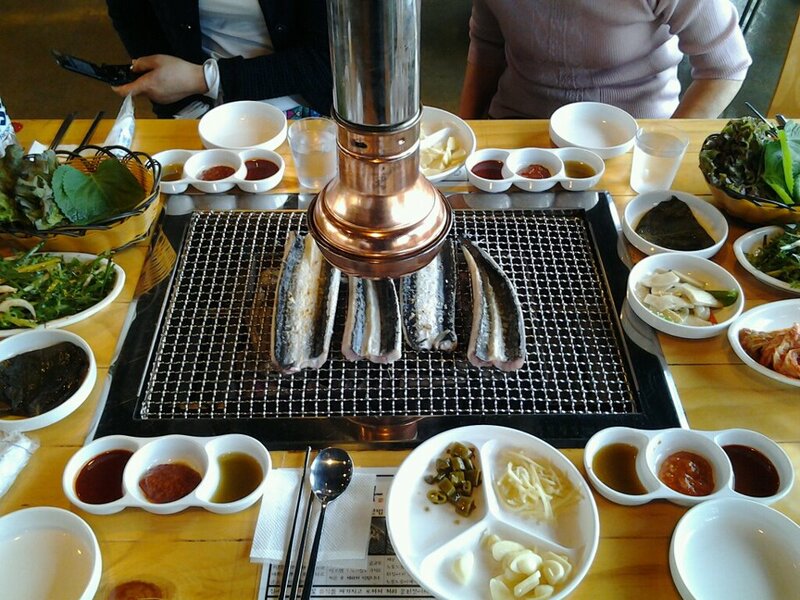 In South Korea it is used in teas; 생강차 Saenggangcha, finely minced ginger is added to kimchi right before fermentation and fresh slices of ginger are the ubiquitous accompaniment to fresh, grilled eel 장어 Jang-Oh. Ginger is well known for its uses to alleviate symptoms of nausea and assist immunity with cold and flu. However it also contains moderate levels of protein, calcium, magnesium, Omega 3’s and 6’s iron and 18 other amino acids. Although most of these levels are nothing to write home about, what makes ginger unique is that all these nutrients are found within each little slice of ginger. So, anyway, off the ginger soapbox. Here’s the recipe. 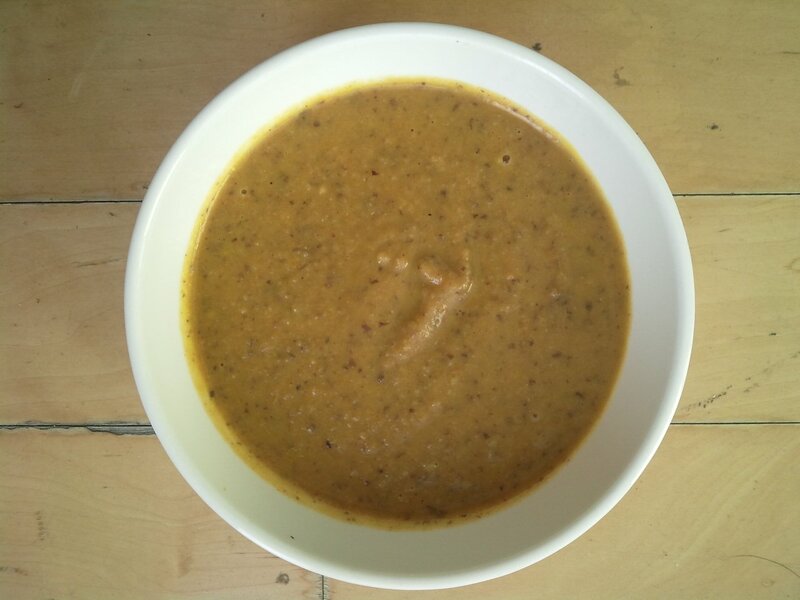 Roasted carrot and ginger soup. 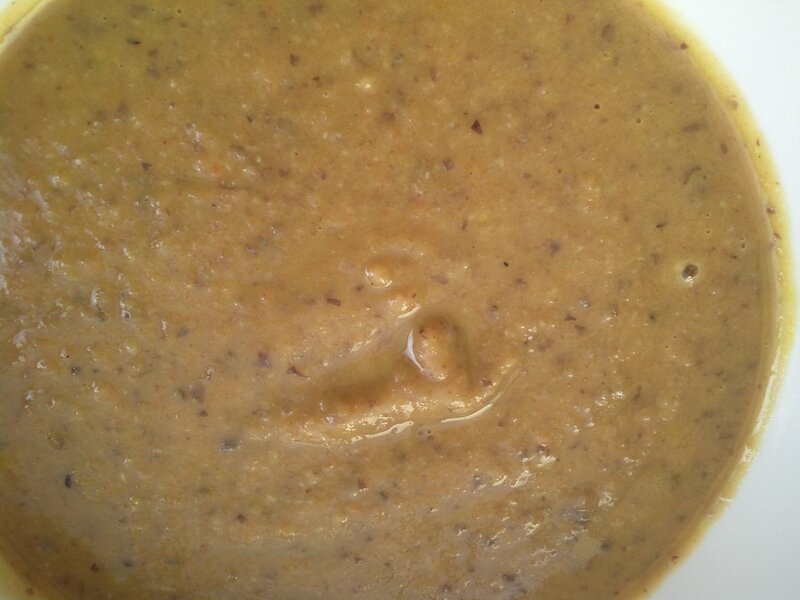 The blackbeans add a richness and thickness to the soup, but do not interfere with the strong carrot and ginger flavours. 1. Wash and peel carrots. Cut into small pieces. Wash and peel ginger. Slice thinly. Add garlic if roasting. Place on greaseproof paper and sprinkle on ginger powder, salt and pepper. Pour on coconut oil and shake about, toss about to cover. 2. 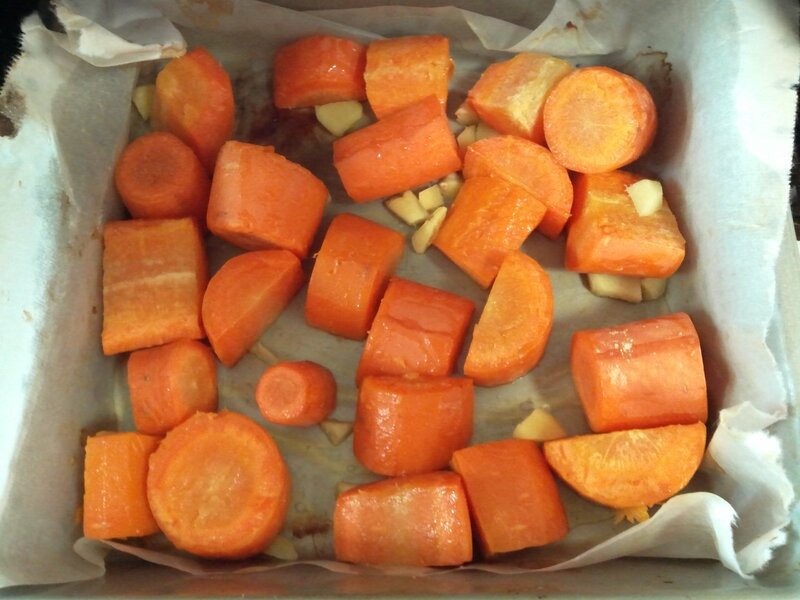 Put in oven at 170°C for around 30-40 minutes or until very soft and colour changes to a deep orange. 3. Cool for 15 minutes. 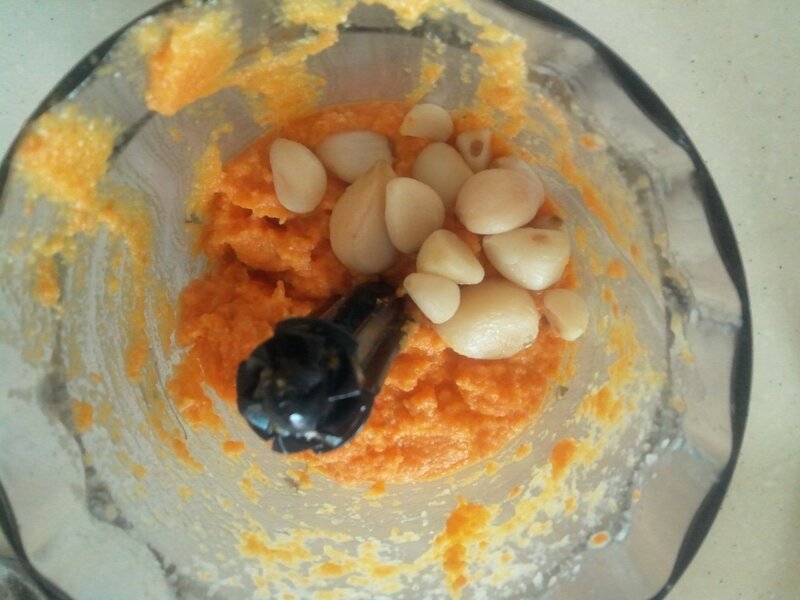 Add to food processor/blender carrot, ginger, garlic and 1/2 cup water. Remove from blender, set aside. 4. 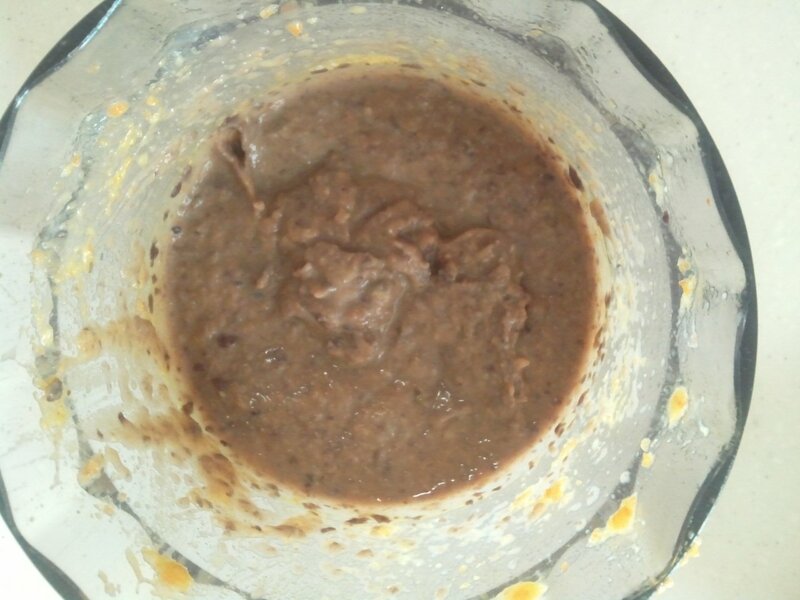 Add blackbeans and 1/2 cup water to blender. Blend, blend, blend until beans are very smooth. 5. 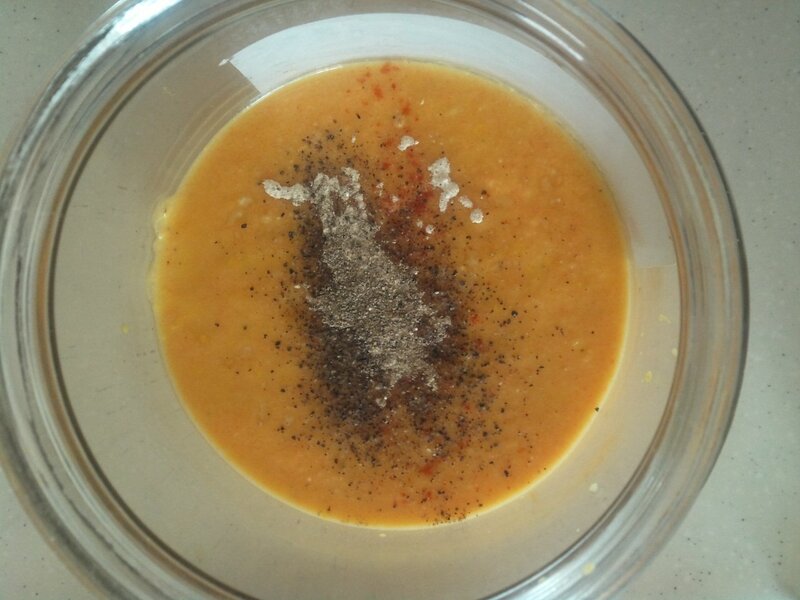 In large, heatproof container, add carrot mix, additional salt and pepper, cayenne powder, maca powder and blackbean mix. Using moulinex/stick blender, throughly blend to combine. excellent post, very informative. I ponder why the opposite specialists of this sector do not understand this. ask. Does running a well-established blog like yours take a lot of work?